Luca Polare, a well-known ice cream café chain in Georgia, had worked with SOS Children’s Villages on a previous campaign, called #wesupportsos. The chain was eager to work again with SOS Children’s Villages. As a lot of ice cream is sold in summer, this provided the perfect timing for a “back to school” campaign to buy stationary for children in SOS programmes. The campaign was promoted by a number of Georgian celebrities, including the basketball player Anatoli Boisa and tennis player Nikoloz Basilashvili. Famous TV presenters, actors, journalists, writers and other public figures also got involved. Information about the campaign was shared on social media. In total, 1009 Georgian Lari ($373) was raised and 53 children received new stationary for school. 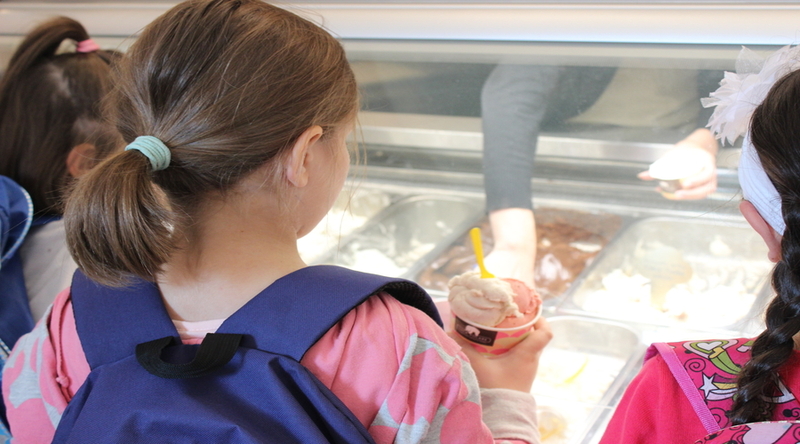 An additional highlight for the children was a trip to a Luca Polare café, where they could enjoy some ice cream of their own. The chain plans to continue supporting SOS Children’s Villages in the future.